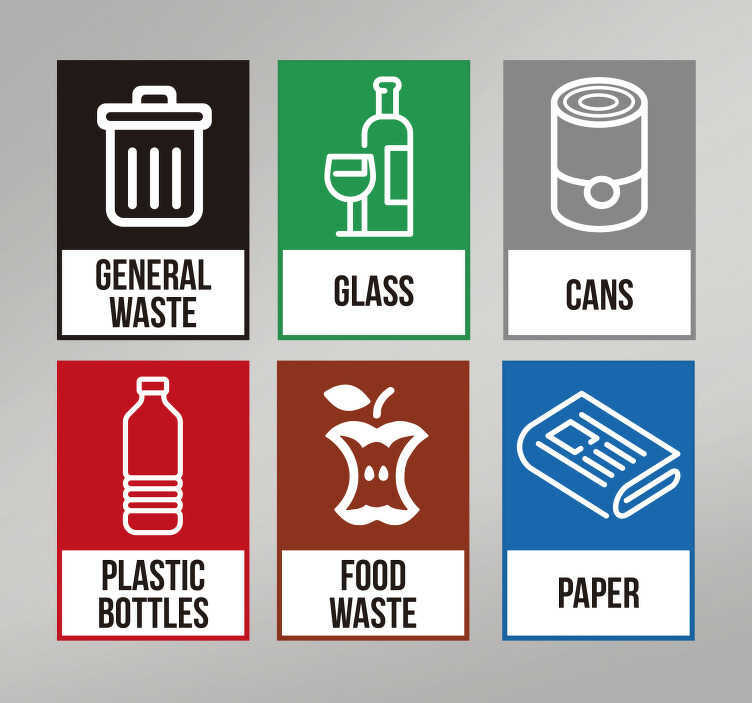 The Recycling Generic Sticker is useful as a recycling bin sticker or a recycling wall sticker. It can also be used on bins that have different disposal methods of each type of waste. This rubbish bin sticker includes waste such as glass, cans, plastic bottles, food waste, paper and general waste. Our waste management stickers go a long way in helping protect our environment through reducing emissions at landfill sites. Anyone who purchases from our large range of eco-friendly bin stickers are playing their part in creating a sustainable planet.